With the control type Tree path, information about the currently selected path is displayed as a tree element. 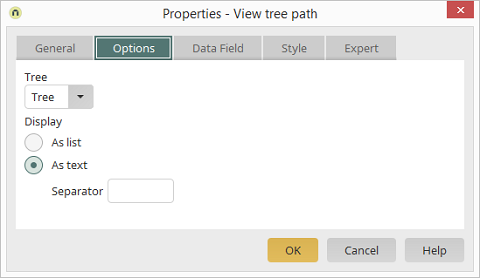 To do that, connect a view field to the data field that is also connected to the tree element. 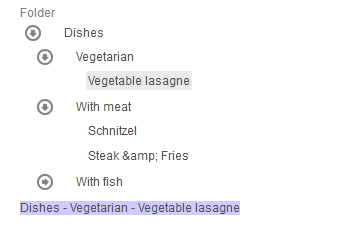 The IDs of each of the tree nodes (folders) are saved in this data field. Here, you can see the view field with the control type Tree path beneath the tree element where the path is selected.